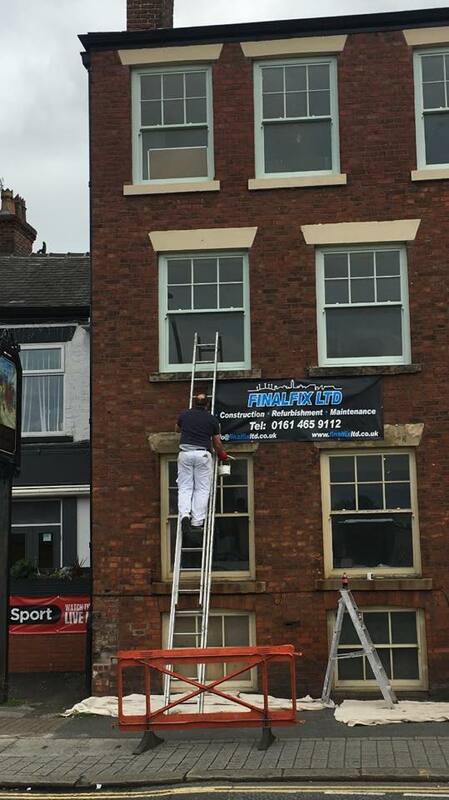 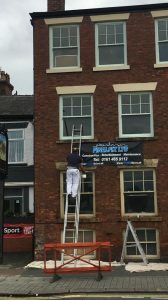 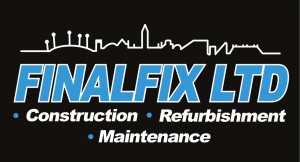 Finalfix have been busy recently in Denton completing a major refurbishment job on a grade 2 listed building. 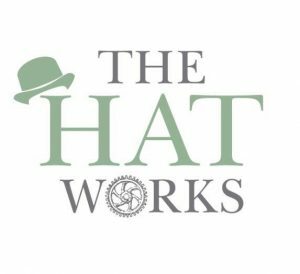 The Hatworks business centre is now open and ready for business. 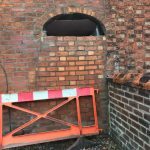 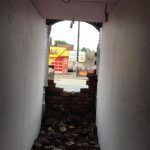 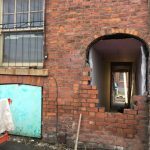 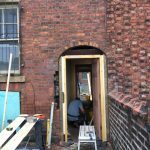 This has been a major undertaking completely gutting a commercial building and modernising from top to bottom. 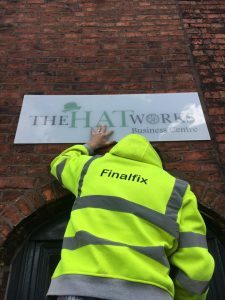 The Hat Works Business Centre has Brand New, Restored Offices to Let in Denton Town Centre. 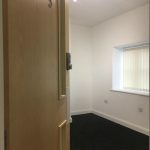 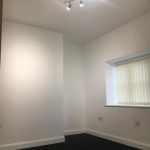 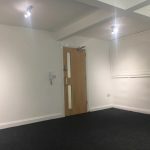 These modern offices are set within this beautiful grade ll listed building, boasting large traditional sash windows, modern electronic entry system & cat 6 cable throughout for you phone & broadband needs. 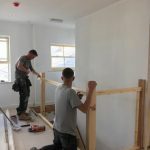 The building has gone through a massive transformation all completed by the Final Fix team. 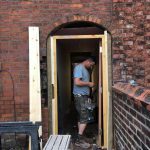 Knocking the opening through at the Hatworks, fitting and undercoating the door and frame. 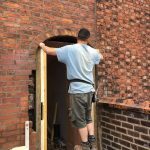 The intercom system will be fitted in the hole to the left and then we can brick patch afterwards. 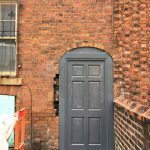 The door and frame are to be finished in high gloss black with chrome ironmongery and magnetic locks to finish. 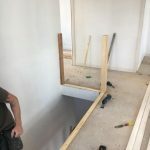 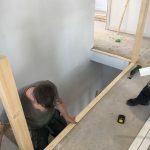 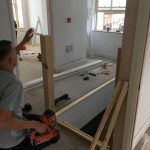 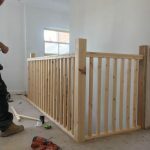 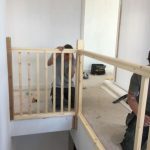 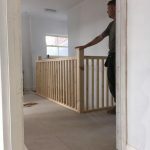 Here are some recent posts completing jobs on the interior of the building.